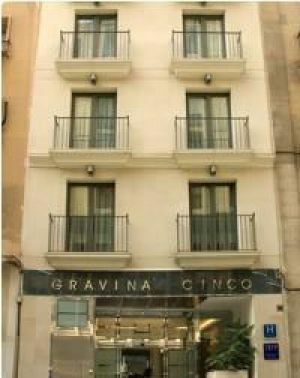 Gravina 5, 03002 Alicante, Spanje. 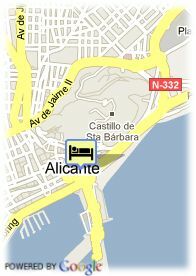 Hotel Gravinacinco is placed in one of the Alicante most historical spots and it is very close to the beach, economical center, the old town, the Archeological Museum of Alicante MARQ and the leisure time areas. It offers 20 well-equipped rooms and 2 Junior suites with television, phone, air-conditioning, minibar, bathroom with hair dryer, parking arranged and WiFi Wireless Internet access. Visa, Diners Club, Maestro, Mastercard, American Express, Solo, Switch.